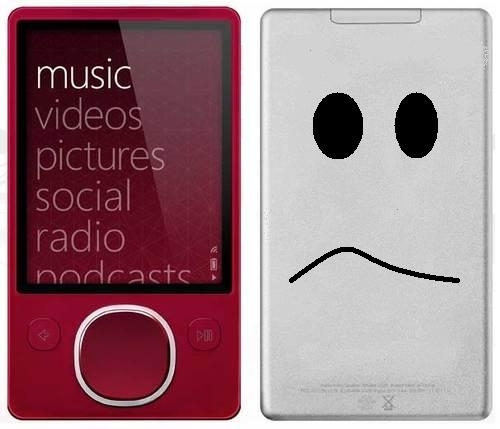 "Use a red Zune to inform your Valentine that you have no future together with a message like; "If I really loved you, this would have been an iPod Touch instead" or send this sweet message to your babies momma; "When your squircle gets stuck think of me... because I'm stuck with you and now you're stuck with Zune". Take the opportunity to tell your little gold digger how much she means to you by buying her a gift that's sure to have her doubting your intentions for the rest of the year. Place your order at Zune Originals by February 4th to ensure delivery by Valentine's Day. Because nothing says "I think so very little of you" better than sending someone a brand new Zune." I can appreciate a good bit of humor as much as the next guy. Head over to iPhoneSavior.com for their take on the red 80. Heh. I'm loving the comments to that post, people are pointing out how stupid it is.